Finally "Kelly's Koop" is completed, and we moved the "girls" outside. 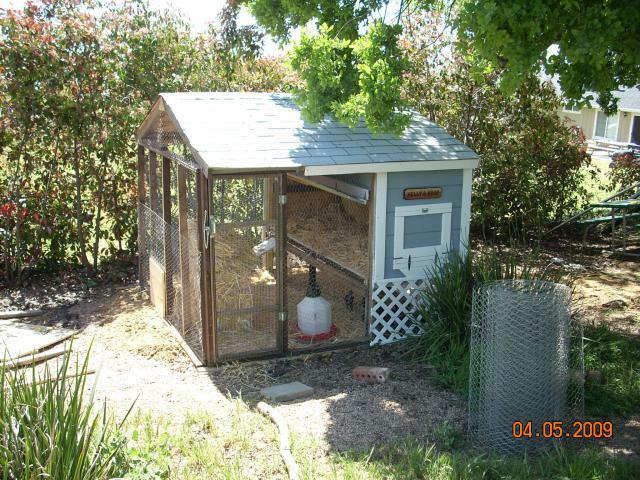 They were happy to have all that room after their 45"L x 45"W x 28"H brooder. The coop footprint is 8' x 8'. 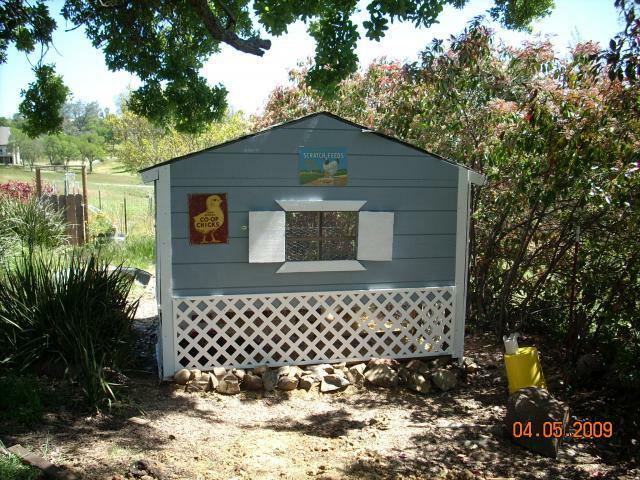 Sometime soon I am adding a covered run to the front of the coop. I'm planning on making it 16' L x 8' W. About 75% of the material is reclaimed from the land fill or from work. The frame is all reclaimed redwood, and I have enough redwood left over for the outside run.